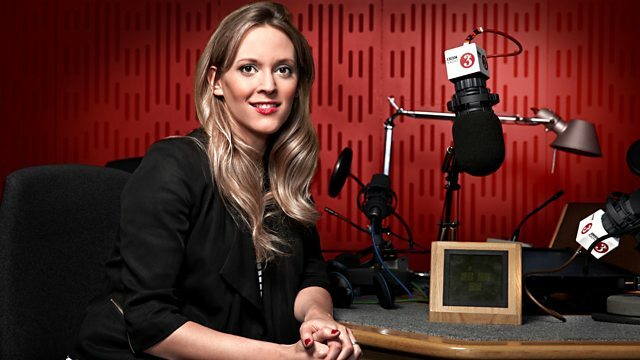 Clemency Burton-Hill presents Radio 3's classical breakfast show, featuring the Best of British Music Playlist, listener requests, works by neglected composers and wake-up calls. Clemency Burton-Hill presents Radio 3's classical breakfast show, featuring the Best of British music Playlist, compiled from listener requests. Also, including your requests for works by neglected composers, amateur music-making groups and wake-up calls. Orchestra: Royal Ballet Sinfonia. Conductor: Gavin Sutherland. Halcyon Days: A Treasury of British Light Music. Haydn Eight Notturni for the King of Naples. Performer: Claire Désert. Performer: Philippe Graffin. Orchestra: Australian Chamber Orchestra. Performer: Angela Hewitt. Conductor: Richard Tognetti. Bach: The Keyboard Concertos - 2. Schubert, Live, Volume 3: Imogen Cooper. Singer: Gerald Finley. Orchestra: BBC National Orchestra of Wales. Choir: BBC National Chorus of Wales. Conductor: Richard Hickox. Faure: Dolly Suite etc. : Soloists/BBC Philharmonic/Tortelier. Singer: Sumi Jo. Ensemble: English Chamber Orchestra. Conductor: Giuliano Carella. Les bijoux, French arias: Sumi Jo/English Chamber Orchestra/Carella. Performer: Emma Johnson. Performer: Jaime Martín. Performer: Jonathan Kelly. Performer: Claire Briggs. Performer: Susanna Cohen. Arnold: Complete Works for Clarinet: Emma Johnson. Choir: Academy of St. Martin in the Fields Chorus. Conductor: Neville Marriner. Orchestral Lollipops: Royal Philharmonic Orchestra/Enrique Batiz. Orchestrator: Henning Kraggerud. Orchestrator: Lund, Bernt Simen. Orchestra: Tromsø Chamber Orchestra. Grieg: Three Concerti for Violin and Orchestra. Ludwig Van Beethoven: Piano Sonatas Nos. 4, 7 and 11. Performer: Simon Trpceski. Orchestra: Royal Liverpool Philharmonic Orchestra. Conductor: Vasily Petrenko. Tchaikovsky Piano Concertos 1 & 2. From the Imperial Court: Music for the House of Hapsburg. Orchestra: Mahler Chamber Orchestra. Performer: Leif Ove Andsnes. Choir: Latvian Radio Choir. Orchestra: Deutsche radio Philharmonic Orchestra. Conductor: Karel Mark Chichon. Singer: Elīna Garanča. Music Arranger: Stephen Roberts. Performer: Black Dyke Band. Conductor: James Watson. Performer: Graham Johnson. Singer: Lisa Milne. The English Song Series 5: Quilter. Conductor: Ton Koopman. Orchestra: Amsterdam Baroque Orchestra. Haydn - Symphonies Nos 45,46 & 49. Conductor: Charles Mackerras. Orchestra: Royal Philharmonic Orchestra.